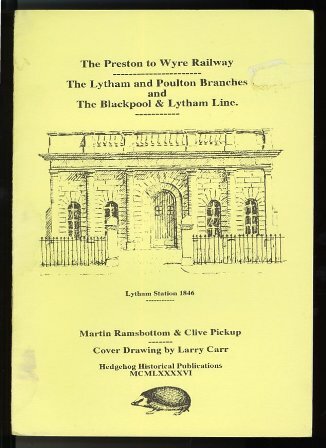 Lytham & St.Annes on the Sea Lancashire - Local History - The Preston to Wyre Railway - The Lytham and Poulton Branches and The Blackpool and Lytham Line. The Preston to Wyre Railway - The Lytham and Poulton Branches and The Blackpool and Lytham Line. The Lytham and Poulton Branches and The Blackpool and Lytham Line. Published by Hedgehog Historical Publications, 1996.